I keep pistols in these; pistol, mags and accessories are always all together. Interesting. Have you had any problems with the PVC-coated fabric trapping moisture? Nope, they breathe pretty well and it comes with a desiccant packet. Haven't had any problems with them in the safe either, but I do keep a big bottle of desiccant in the safe. They make going to the range or a match super easy, I grab the gun(s) I want, throw them in the range bag and I'm good to go. Nice. I suppose I could just use a bunch of those bags to store mags; I don't have room to keep them in the safe with the actual firearms. I experimented with something called Ammo-Armor. I used different colors to coordinate with different guns. It didn't really work out because the OD green was so dark that it was hard to tell from black in dim light. Hoping I get some good ideas here. I got a expedition pistol case/rug: https://www.maxpedition.com/products/8- ... se-Gun-Rug It works for my needs. I keep the magazines stacked by firearm type. I do need a better system but haven't given it much though. I love those Midway pistol cases. I have a couple as well. On top of the 7 magazine pouches, there are 2 pockets on the other side, for small supplies or tools that may be needed for the gun. Those plus my range bag and I know I have everything I need for a match or range outing. 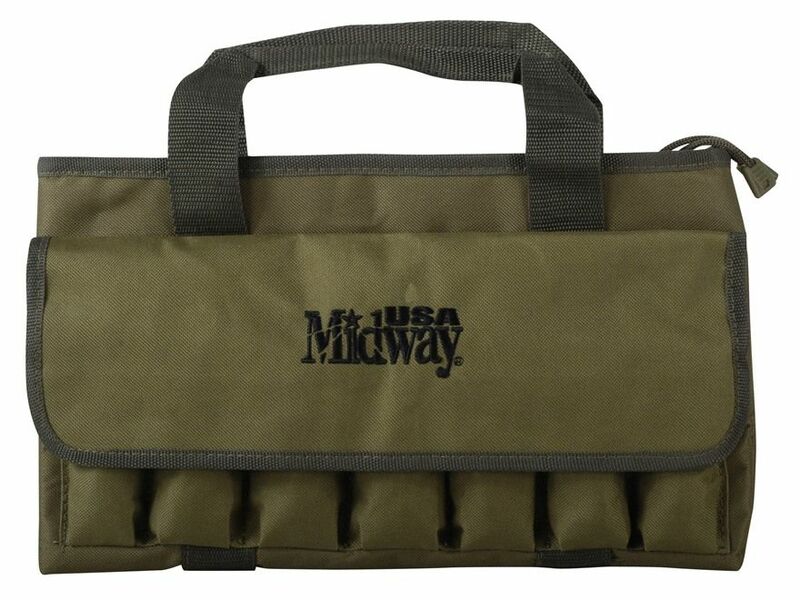 I do same with Midway and other pistol bags ala spara. I label each bag for a specific gun and it contains all it's mags. The pistols themselves are stored in the safe. The mags/bags in a concealed hiding spot easily accessible for a range trip or other. Of course, my EDC and HD bedside are primed and ready to go. I've had no rust problems with mags although not in a protected environment other than being in house. The safe has desiccant along with a Peet gun safe heater, and no problems there, either. "Being Republican is more than a difference of opinion - it's a character flaw." California seems to have an unusual number of boat accidents that reduce the number of mags we have to organize. I use a couple little plastic boxes that go in a bigger range box.